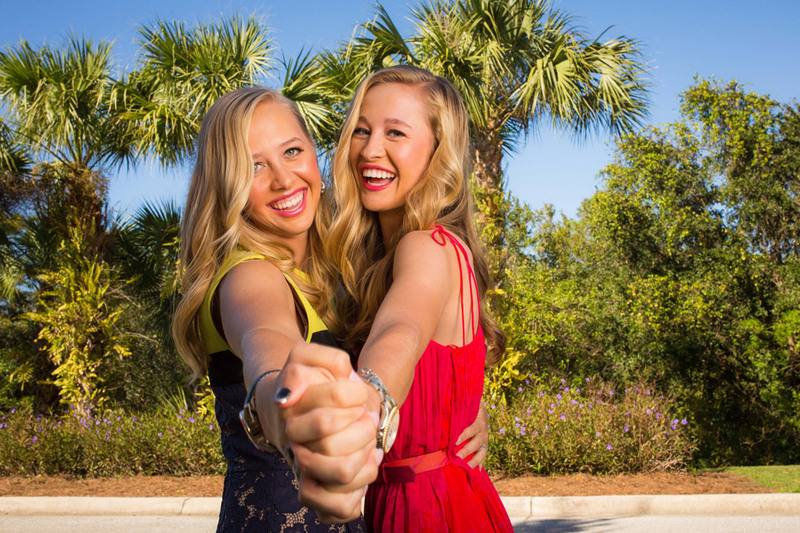 Let me start by saying that 2015 was a spectacular year for LPGA rookies. I don't think there was ever another one like it. Nineteen of the 33 LPGA rookies will be retaining their playing cards for the 2016 season. That is 57.6%, up from 44.4% in 2014, and only 22.8 % in 2013 when only 8 of 35 players retained their cards. Below are my ratings for all 2015 LPGA rookies. 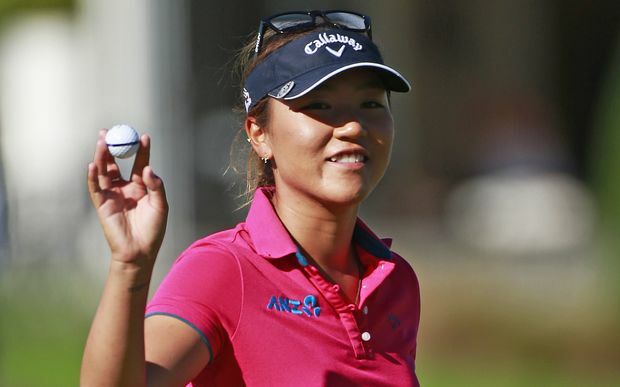 These ratings are strictly based on how they fared on the LPGA tour this season. Any successes or failures on other tours, excluding the Symetra Tour, are not considered here. Success in retaining their 2015 LPGA playing card was my determining factor for my final ratings. 1- Sei Young Kim - Winner of the Louise Suggs Rolex Rookie of the Year Award. This was somewhat of a surprise as there were other rookies on this list that were ranked ahead of her at the start of the season. We knew she would be good. We didn't know she would be this good. A winner 3 times during the 2015 season, she also had 8 top fives, and 11 top tens. She finished the year #4 on the official LPGA money list. 2- Hyo Joo Kim - She was my pick to win rookie honors. Though it wasn't to be, she finished second and had quite a sensational rookie season. Besides her win of the LPGA Founders Cup, she has 9 top ten finishes, and 17 top twenties. She made the cut in 22 of her 25 starts, and finished #13 on the money list. 3- Brooke Henderson - She wasn't a rookie until she won the Cambia Portland event, and made the decision to join the tour and forfeit her rookie status in 2016. She teed it up just 14 times as both a member and non member in 2015. She had that victory in Portland, 4 top fives and 11 top twenty-five finishes. She only missed one cut. Her earnings of $762,112 would have put her #18 on the money list, which is phenomenal considering she played in just 14 events. Her $54,437 earned per event was topped only by Sei Young Kim on this list. 4- Minjee Lee - Minjee was one of four LPGA rookies to win on the tour this year (joining the above 3). She also had 7 top tens, and made 24 of 29 cuts. She finished the year #16 on the LPGA money list. 5- Ha Na Jang - She did everything this year but win, and she sure had several chances to do that. Her second place finish at last week's CME, was her third one this year. She had 8 top ten finishes, and made 20 of 23 cuts. She finished the year #15 on the money list. 6- Alison Lee - This placement shows everyone just how good the rookies were this year. Three top fives, six top tens, and 11 top twenties, are good enough to win the ROY award most years. Alison made 19 of 23 cuts, and finished #23 on the money list. 1- Charley Hull - Because of a poor priority rating, she did not get into many tournaments until the first reshuffle. When she did get her chance, she took full advantage by not missing a cut all year. The highlight of her season was a 4th place finish at the Fubon LPGA Taiwan Championship. She had three top tens, and 4 top twenty finishes. Her 60th place ranking on the money list was quite impressive considering the limited amount of starts. 2- Ariya Jutanugarn - Trying to figure out this young lady is just impossible. She finished 11th, 2nd, 3rd, 13th, and 17th in her first 5 tournaments of the year. The next few months were a complete disaster. She had a stretch where she missed 10 consecutive cuts. She seemed to straighten it out late in the year with 2 more top ten finishes. She made the cut 19 of the 31 times she teed it up. Her #35 finish on the money list results in a successful season. Which way she goes from here is anybody's guess. 3- Sakura Yokomine - She did not quite live up to our expectations, but a strong year nonetheless. Her 5th place finish at the Lorena Ochoa Invitational, her final event of the season, was her biggest highlight. She finished with 2 top tens, and 6 top twenty finishes. She did make 19 of 25 cuts, and finished #44 on the money list. 4- Q-Baek - Before the season started, many people I talked to ranked her ahead of Sei Young Kim. That player never materialized. She did make the cut in 21 of 27 events, but had only 1 top ten finish all year. Her 9 top twenty finishes tells us she may not be that far away. She finished #57 on the money list. 5- Wei-Ling Hsu - She only had two top twenties all year, but the money kept coming in because she made the cut in all but 3 of her 31 events. So much so, that she finished #60 on the money list. Her ranking of #97 in driving distance does send up a red flag and bears watching. 1- Min Lee - Her 12th place finish at the U.S. Women's Open was by far the highlight of her season. Another player that knows how to stay inside the cut line, as she was successful 21 of 26 times. She finished #68 on the money list. 2- Kelly Shon - Her 3rd place finish at the ShopRite Classic, not only was her highlight of the year, but probably the only reason she is in this category. She finished #74 on the money list and will still have to prove she belongs here in 2016. 3- Sadena Parks - The former big breaker made just 5 of 16 cuts, and didn't have a finish better than 22nd. She makes this category because she did sneak into the #100 spot on the money list (which is a world of a difference from #101), and will still get a priority rating next year that is better than the successful Q-School players. That will result in her playing in all full field events. 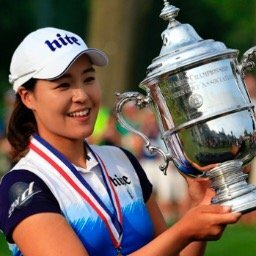 4- Soo Bin Kim - Her 23rd place finish at the ShopRite Classic is what saved her season, thus avoiding going back to Q-School. Still her decision to not go back to Q-School to improve her status next year is a questionable one. Her finish of #103 on the money list doesn't guarantee she will play many events next year. Belen Mozo, who finished #101, is going back to try to improve her position. 1- Casey Grice - Because of a horrible priority rating, she only played in 1 tournament in 2015 and missed the cut. That doesn't matter now as she finished in the top 10 on the Symetra Tour, therefore earning full time playing privileges next year on the LPGA Tour. The following 3 players are going back to Q-school to improve their Priority List status for 2016. They still have a playing card, but did not play well enough to guarantee them many starts in 2016. 1- Laetitia Beck - She made 8 of 14 cuts, with a best finish of 19th at the Manulife Classic. She finished #111 on the money list. 2- Jing Yan - Made 7 of 14 cuts, with a best finish of 11th at the Kingsmill Championship. She finished #112 on the money list. 3- Cheyenne Woods: Making just 8 of 17 cuts, with a best finish of 24th, put her at #125 on the money list. 1- Emma De Groot - Made just 1 of 3 cuts and finished #167. 2- Simin Feng - Made just 7 of 18 cuts and finished #135. 3- Celine Herbin - Failed to make the cut in both her starts. 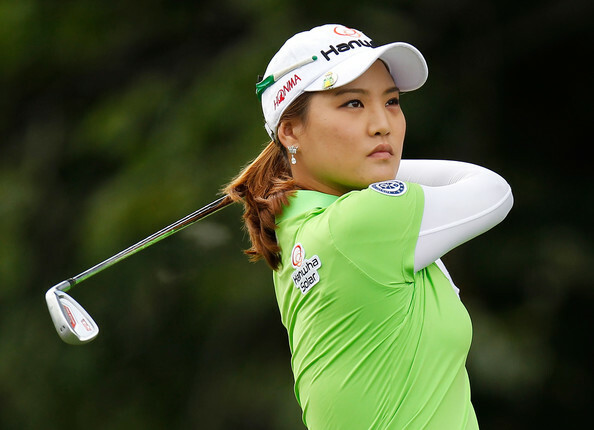 4- Jeong Eun Lee - Made the cut in 2 of 3 starts and finished at #144. 5- Stephanie Meadow - This highly ranked rookie came out of the gate quickly. with a top 20 finish at the ANA Inspiration. Her father then passed away, and she failed to make another cut after that. She finished #131 on money list. 6- Elizabeth Nagel - Made the cut in just 2 of 5 starts and finished at #143. 7- Sophie Popov - Made the cut in 4 of 10 starts and finished #140. 8-Demi Runas - Made just 4 of 18 cuts and finished at #147. 9- Marta Sanz Barrio - Played 4 tournaments, missed 4 cuts. 10- Marissa Steen - Made only 4 of 18 cuts and finished #138. 11- Julie Yang - Made one cut in 12 attempts while finishing #155. The following players have lost their playing cards and have not registered for Q-school. 1- Kendall Dye - Made just 4 of 14 cuts and finished #149. 3- Ju Young Park - The sister of Hee Young Park had quite a few people rooting for her this year. Unfortunately, although the chances were there, she made just 3 cuts in 13 attempts and finished #139. UPDATE: It has been brought to my attention that both Therese Koelbaek and Kendall Dye, are late registrants. Koelbaek is now under her new married name of Therese O'Hara. Be sure to check back here early next week for my preview of phase 3 Q-School. Do you think the rookies were made to look spectacular this year due to the under performance of some of the more established players....Stacy Lewis, Michelle Wie etc and also do you consider age and experience SYK had on the other rookies had an influence on her results? No. I think these rookies would have stood out no matter what the results were by the other LPGA players. As far as SYK, the Asian rookies are always going to have an edge because they come to our tour as established stars who already played on a major tour. I think you're right Tony and your remarks about Asian rookies having an edge is really an issue with the Symetra Tour. Even the ones from the Symetra that kept their cards were from Taiwan. As for age, it would be really great if someone had the courage to be a 26+ yr old rookie and win the LPGA ROY award!